I don't know if the people who own these homes on Clifton beach are famous, but they certainly have to be rich (or at least know someone who is!). I took yesterday's photo in exactly the opposite direction to this one, so imagine the view that people living in these homes have each day. Isn't it just insane? 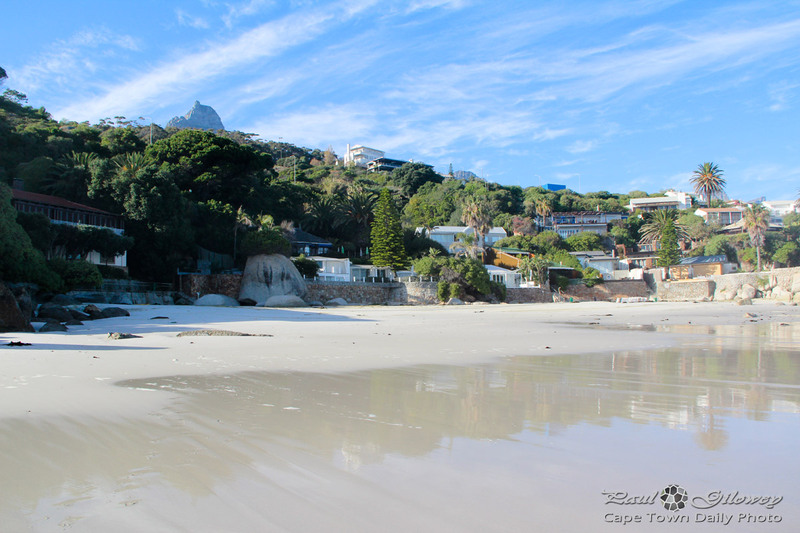 Wouldn't you love a house right on Clifton beach? Posted in General and tagged beach, homes on Monday, 28 May, 2012 by Paul. The first photo in this series was taken from the upstairs window on the right, and the second photo was taken from the doors on the left. I found myself wishing that I could pick the entire house up, put it on the back of a (very large) truck, and transport it to our suburb. 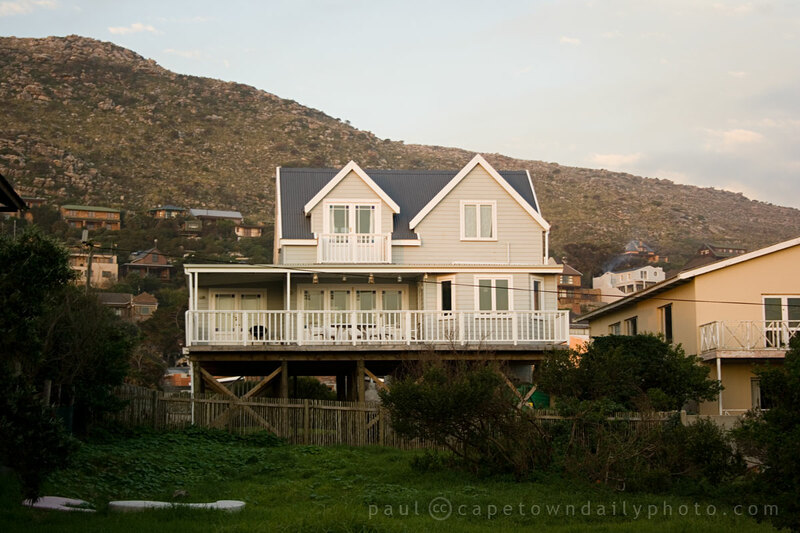 I quickly realised, of course, that a huge part of the charm of this house lies in its environment - particularly the ocean views you caught a glimpse of in the previous two posts. Posted in General and tagged homes, mountain on Monday, 31 August, 2009 by Kerry-Anne. 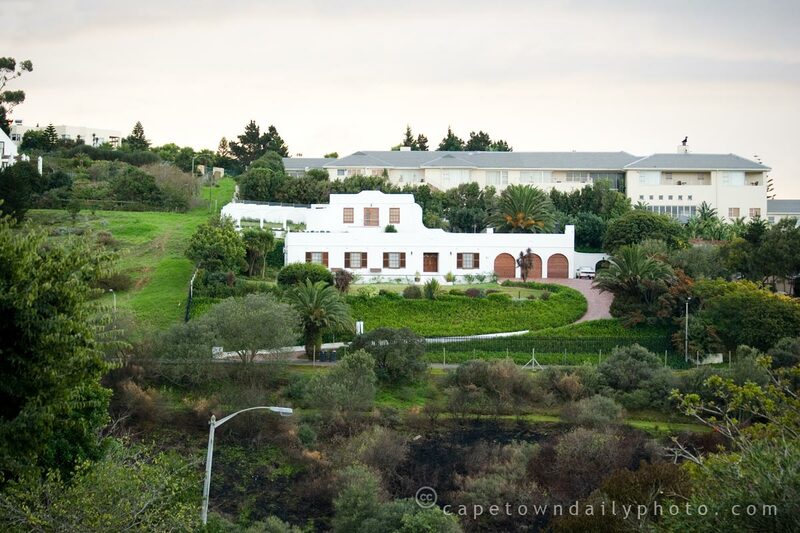 Welgemoed is a wealthy suburb of Cape Town, just on "the other side" of Tygerberg Hill, facing the Boland Mountains. If you were to stand on top of Table Mountain, overlooking the City Bowl, and allow your gaze to extend further, over the city, then Tygerberg Hill is the hill that you would see in the distance, about 20km from Table Mountain, and Welgemoed is just on the other side of that hill. We took a drive around the suburb, and the strange thing was how isolated everyone seemed to be. High walls barricaded each propery, and it felt like people were peering from their windows suspiciously when we stopped our car to look around. The property in the photo seemed different. 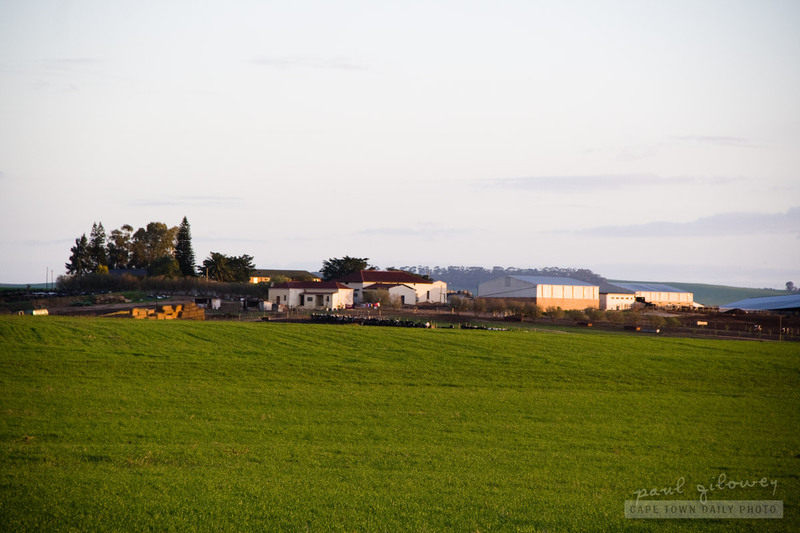 Firstly, there were no large walls to be seen, only fences, and secondly, there is far more open space around this house than other houses in the area. Also, the abundant trees, garden and green rolling hills seem to give the home less of a densely-packed suburban feeling. Posted in General and tagged flora, homes on Tuesday, 2 June, 2009 by Paul.